Get YOUR Slice of Scenic 30A! Search for 30A Real Estate in South Walton County Today! The Beaches of South Walton on Northwest Florida's Gulf Coast; and Highway 30A, or simply "30A" as we affectionately refer to it; is a place unlike any other. What makes 30A real estate more special than in any other beach area? 18 miles of pristine, sugar white beaches. 15 unique and rare Coastal Dune Lakes. Beautiful, world-class, traditional neighborhood developments & beach towns. Highest dune elevations along the Gulf of Mexico. 23,924 acres of State Parks and State Forest--WOW that's 45.6% . . . just check out all the GREEN on our map. Building height limits to 4 stories or 50'. 30A Homes for Sale in Sunny South Walton! There are absolutely stunning 30A homes for sale that exist in a range of unique communities that hug the singular Gulf Coast in sunny South Walton County. Places like Alys Beach, Dune Allen Beach and Watersound Beach all have a sun-soaked identity of their own just waiting to be discovered. Davis Properties of Northwest Florida and DavisProp.com aim to be your premiere resource for 30A homes for sale that line the beaches in this unique corner of Northwest Florida. Utilize our advanced search features to browse properties using a range of criteria. Also, let us make the process of buying and selling your home simple and stress-free with our series of guides providing expert local advice. 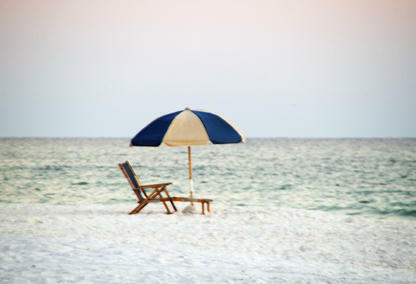 Not sure which South Walton County area is right for you? Take advantage of the in-depth, local knowledge provided through our extensive community pages. Davis Properties of Northwest Florida Inc. and owner/broker Larry Davis have been helping families and individuals just like you find their ideal homes for sale along 30A and their own little piece of paradise since 1990. Larry started Davis Properties in a small kiosk in Seaside, Florida and was there from 1993 to 2009 before making a permanent move to their current location in Seagrove Beach. Learn more about this local South Walton County institution; let Davis Properties of Northwest Florida Inc. demonstrate how genuine local knowledge and a dedicated team of professionals can make all the difference. Please, look around the site and contact us with any questions about homes for sale along 30A, our real estate market and how we serve our clients. There are no "silly" questions so go ahead, we'd love to hear from you and assist with any "30A Curiosities". It's Selling Season at the beach! Let's talk about getting your South Walton home ready to sell!